The Yokahama Baystars are trying to reach a new (likely, female) audience with their latest piece of PR work: take the professional Japanese Central League players and manga-fy them for advertisements. 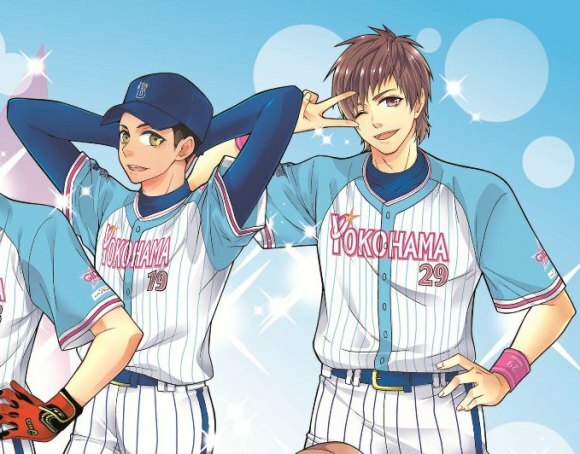 In this shojo-style piece published by the Baystars, fans of the baseball team can enjoy their semi-celebrity players in an entirely new cute-ified style. This marketing ploy was like created to attract a new and younger female audience to the Central League, which is mostly supported by the players, their families, and girlfriends. How do you make yakyuu relevant? Introduce it to the world of kawaii, of course! And while we’re not sure if re-branding real grizzly players as cute manga is most effective approach, we’re certainly not complaining.